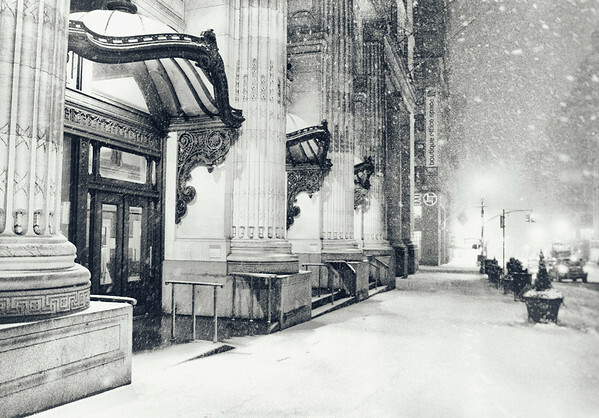 This photograph was taken during the only heavy snowfall that New York City experienced during the winter 2013 season. I bundled myself and my Sony A99 up in as many layers as I could muster wearing and walked all the from my Lower East Side neighborhood up 5th Avenue to Times Square because I could think of nothing better than reveling in some of the most beautiful city scenery while the night turned into something resembling a shaken snow-globe. Excellent winter scene. Super b&w processing.